It’s important that you understand what is going on with your instrument. All repairs start with a thorough evaluation. The results are shared with the owner through explanations and demonstrations that are clear and concise. You will know what tuning approach is needed to bring your instrument to proper pitch and why. If other services are needed, they will be discussed, rated in terms of what is considered an immediate repair need and what is a not so immediate repair need. Immediate repairs should be considered priority as they have a direct inﬂuence on the playability and function of the piano. Not so immediate repairs can wait as the piano is presenting as fully functional but there exists a deﬁciency that will surface later as a problem; but, is not presenting as a problem for the time being. 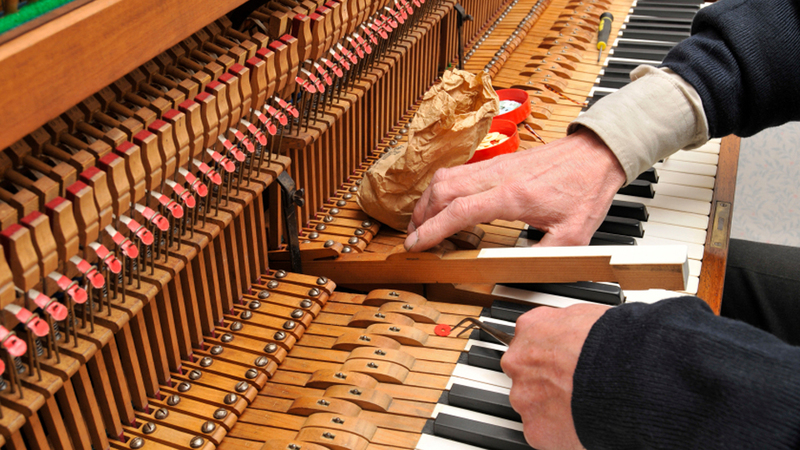 As your piano technician, I will fully disclose all individual costs of tuning and any repairs. You will know what is considered as immediate and what services can wait. Now that you have become educated to the needs of your piano, you are well prepared to choose the speciﬁc services that you wish to have addressed. Once you have made your choices and given their individual costs, a ﬁnal total for all services will be disclosed. If you are agreeable to the services and charges, you will make the informed decision to move forward with the work. No work will be done to the piano without your informed verbal consent to perform said services. Once given a ﬁnal total for services, that value will not change. There will be no surprise charges for services added to your bill. However, sometimes a repair need surfaces that was not observable until after an agreement has been reached and work has begun. In such instances, you will be informed of the problem, the cost to repair and given an opportunity to choose to have it addressed or not.